The internet does not forgive, and it does not forget. Your carefully planned hashtag can quickly turn into a bashtag at the flip of a switch. Creating and sharing a branded hashtag on social media can be a great way to encourage engagement and drive conversation within certain topics. However, you have to tread lightly. 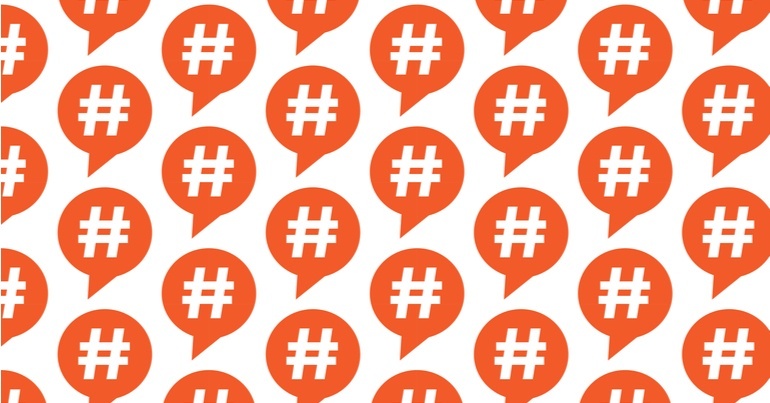 Take a look at these five cautionary tales of companies being burned by hashtags. 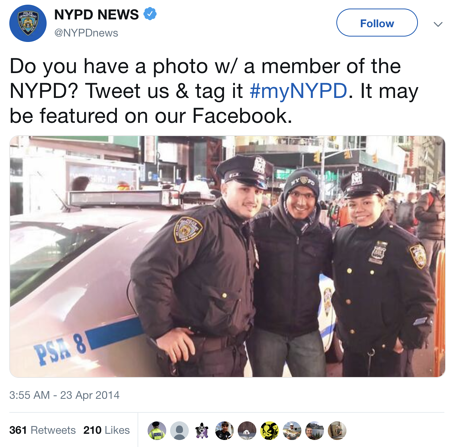 Started by the official Twitter account for the New York City Police Department, this hashtag was originally meant as a way for the community to share pictures they’ve taken with the police. What the NYPD got instead was a steady stream of pictures, videos and anecdotes of police brutality in New York, spanning some 50 years. The hashtag was innocent enough, but the sentiment among the citizens, especially at the time, was very one of extreme distrust of the police, and for good reason. It is never a good idea for a brand to try and “hijack” a hashtag, as these three examples demonstrate. If your company is to participate in conversations on social media, make sure you participate in hashtags that are related or relevant to your business or industry. The Arab Spring was in full swing in 2011, and it was a seminal moment for social media, which was being used to report news from active participants for the first time. 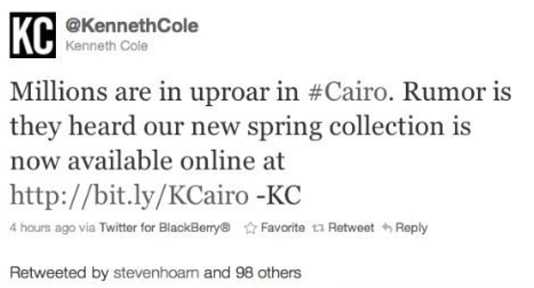 Designer Kenneth Cole wanted to take advantage of the trending hashtag, and missed the mark by a mile. Despite removing the tweet and apologising, he later followed up with another “gem” in 2013. Similar hijack shenanigans have been attempted with hastags for hurricane Sandy and the Aurora shooting, and it is simply the worst idea one could possibly have. While Qantas isn’t exactly known for its luxurious flights, there’s nothing inherently wrong with this hashtag. 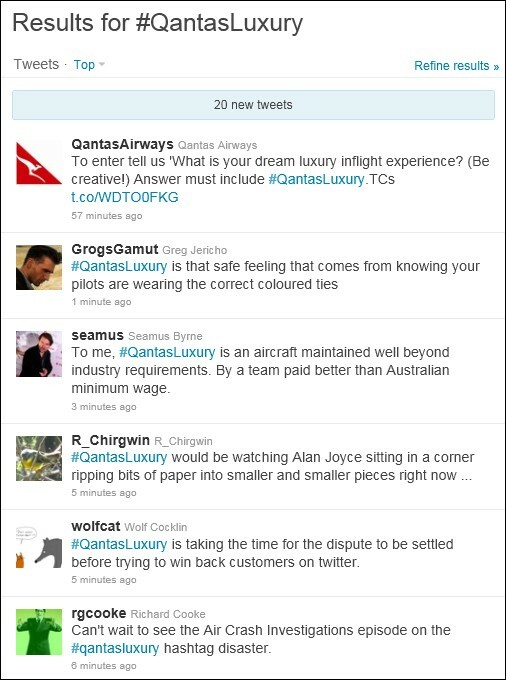 Qantas’ social media team shared the hashtag, asking its followers to share their “dream luxury in-flight experience” in order to win prizes. The hashtag is fine, and the contest is fine, but context matters. This campaign launched the day after Qantas’ entire fleet was grounded because of a breakdown in contract negotiations with unions. This social media campaign may have been scheduled a long time in advance, but it might be a good idea to double check that your fleet is still operational if you’re gonna ask the audience to describe their dream flight. You probably should have postponed that marketing campaign for a while, guys... Just saying. Back in 2012, McDonald’s launched two branded hashtags. The first was #MeetTheFarmers, where you could read about the farmers McDonald’s employ and, uh, discuss them, I guess? 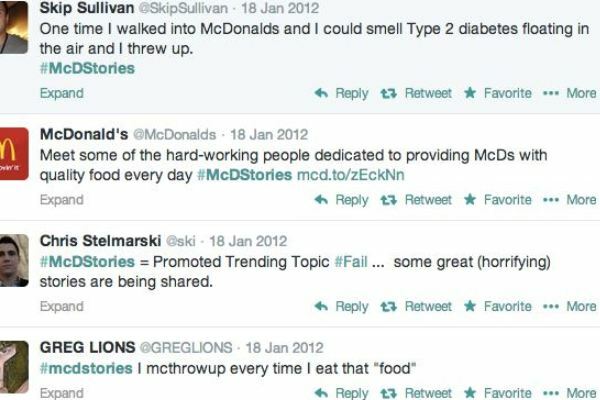 The second was #McDStories, which has gone down in hashtag folklore as a terrible idea. The marketing team probably thought that they would generate some positive buzz by having users share their fun McDonald’s related stories. Seriously though, who has fun stories from fast food chains? What would that even look like? "I went there and I ate the food and it was fine"? As should have been obvious and predictable, the hashtag flooded with customers’ worst stories from the fast food giant, ranging from getting food poisoning to finding used band-aids in take-out bags. Good times. The Victorian Taxi Association was probably feeling the heat of Uber’s rising popularity and pending legalisation when it created the hashtag #YourTaxis in 2015. Established for users to share warm, fuzzy, feel-good stories from taking taxies, this story is similar to the terrible McDonald’s hashtag above. Do you have any particularly great memories from taking a taxi? Probably not. Do you have one or several bad memories from taking a taxi? Yeah, me too. Obviously, there are dozens of other bashtags we could have chosen from for this blog post. Did we overlook your favourite hashtag fail? Leave it in the comments below.